1. 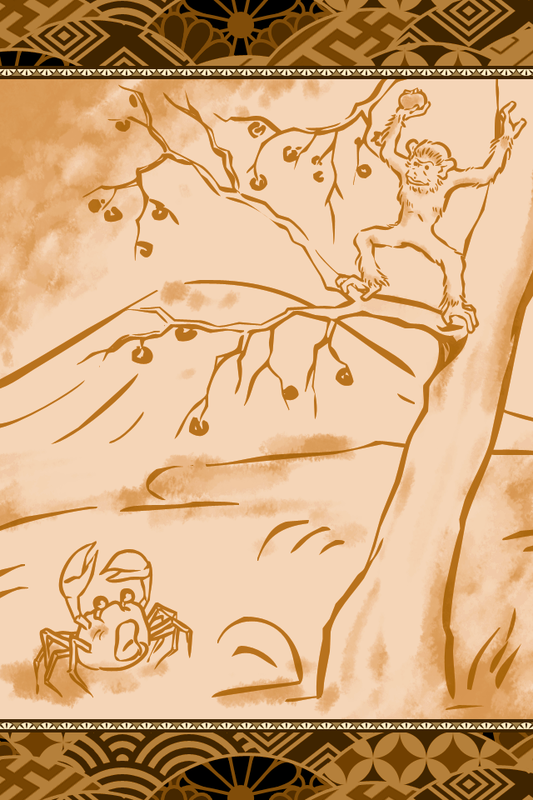 Monkey will throw the persimmon from where "!" is shown. 2. 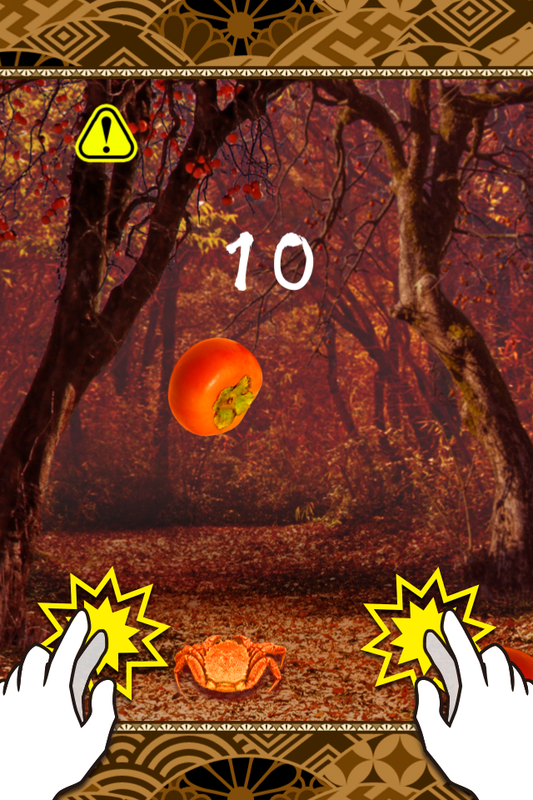 Move the Crab by tapping and fend off the persimmon.